Gerald "Butch" Hubert Sutherland passed away Friday, February 2, 2018 peacefully at his home in Sequim after long years of battling Parkinson Disease and Colon Cancer. Gerald was born on October 22, 1939 at home (Grant Rapids, Minnesota) to Goldie Viola Martin and Sander Emmanuel Sutherland. He was the eighth child in a large family with nine children. After graduating from high school in Grand Rapids MN, he attended Oak Hills Bible School for three years in Bemidji MN. where he met his future wife Donna. Gerry went on to receive his four-year English teaching degree at Bemidji State. In 1964 his teaching career began in Jackson Hole, WY where he also coached the junior high football and basketball teams. Two years later, he moved to International Falls and taught high school English and was awarded a program of study which led to a Masters' Degree in School Counseling from Indiana State University. He loved the outdoors, particularly the great American N. West so his young family moved to Shoreline, WA where he accepted the position of high school counselor at King's Garden part of Christa Ministries. Shortly thereafter, he was offered a position in administration and stayed there from 1969-1978. At the same time, he received his Masters' Degree in Administration from Seattle Pacific College. Gerry and Donna moved to the small town of Sequim to raise their 6 children (3 boys & 3 girls). During his time at Sequim High School he worked as the School Counselor and then as Vice Principal. Four years after that, he took the role of Vice Principal at the Sequim Middle School. 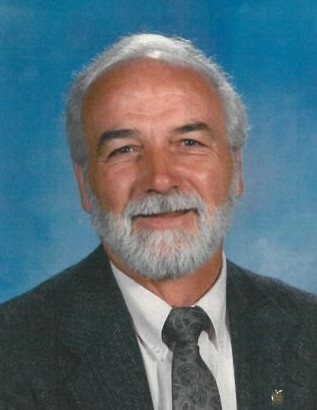 He kept that position until 2000 when he returned to the High School Staff as "Dean of Student" and remained there until he retired in the fall of 2004. Gerry spent as much time salt water fishing and hunting with his sons, daughters and friends as possible. His wife Donna was also proficient at fishing and would often out fish her husband much to his dismay. Gerald Sutherland is lovingly remembered and survived by the following people: Donna his loving wife of many years, married June 10, 1961. His children include: Jerilyn Sutherland of Sequim, Joel (Cindy) of Black Diamond, Paul's two children Jordan and Samantha of Port Angeles, Julie (Cliff) Garrett and their two children Seth and Natalie of Mercer Island, Marcee (John) Connerly and their four children Logan, Owen, Corey and Jacob of Kalispell Montana, and Ryan (Brynn) and their daughter Hadley of Issaquah. He is also survived by brother Art (Vi) Sutherland of Vancouver, WA, sister Janice Kuhn of San Antonio, TX, and brother Kermit (Jan)Sutherland of Oceanside, CA. His beloved Son, Paul Gerald proceeded him in death, 07/28/67-06/08/2017. Gerry had a real heart for kids. He devoted his life and energy to them while he worked for the Schools. He did his best to be "firm and fair" in all his decisions of discipline. He had a strong faith in God and knew "he would meet Jesus in the mansion prepared for him in Heaven." (John 14:6). He was active in many ministry positions at his home church, Sequim Bible. He challenged all of us by the way he lived his life as a sojourner. His favorite saying was "I pitch my tent one day closer to home". His memorial service is planned for 02/17 at 1:30 at Sequim Bible Church. In lieu of flowers, gifts in Gerald's honor can be given to Volunteer Hospice of Clallam County, 540 E 8th St. Port Angeles, WA 98362.